A group of 33 members and guests of the HBS Women’s Association of New York (HBSWANY) took an outing on January 16 to see Gloria: A Life, a two-act play about the feminist icon Gloria Steinem, currently running at the Daryl Roth Theatre in Union Square. Billed as “a richly detailed tapestry about one of the most inspiring and remarkable women of our time,” Gloria: A Life stars Christine Lahti as Steinem, who talks about her life’s work and philosophy as a champion for equality. Act I is the play itself, and Act II features a talking circle between the performer and the audience. On some nights, Steinem herself will appear for the second act. The HBS alumnae were lucky to be there on such a night, as Steinem did appear and engaged in a lively conversation with the audience. Stark says there were two women in the group who had met Steinem in the past, one of whom had even been in a study group with her at Radcliffe. As if that wasn’t exciting enough, the group was treated to a private Q & A session before the show with the play’s director (and Harvard College alumna), Diane Paulus, the Artistic Director of the American Repertory Theater (A.R.T.) at Harvard University. 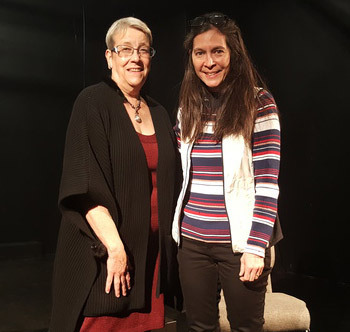 HBSWANY co-vice president of programming, Kathy Murray (AMP 112, 1993) moderated the talk with the award-winning director, whose prior work includes The Gershwins’ Porgy and Bess, Waitress, Finding Neverland, Hair, and Pippin, among many other productions. Paulus was selected for 2014’s Time 100, Time magazine’s annual list of the 100 most influential people in the world. 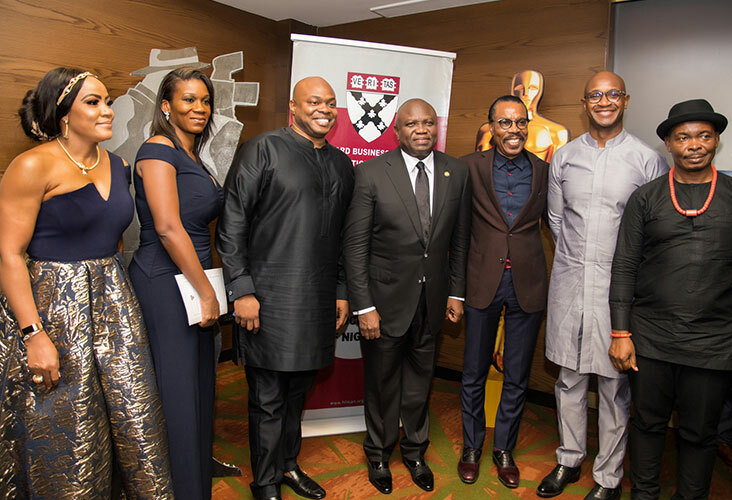 Close to 300 guests, including many HBS and Harvard alumni as well as top business leaders, converged on the Grand Ballroom at the Eko Hotel in Victoria Island, Lagos, in December to celebrate outstanding leadership across the Nigerian business community. 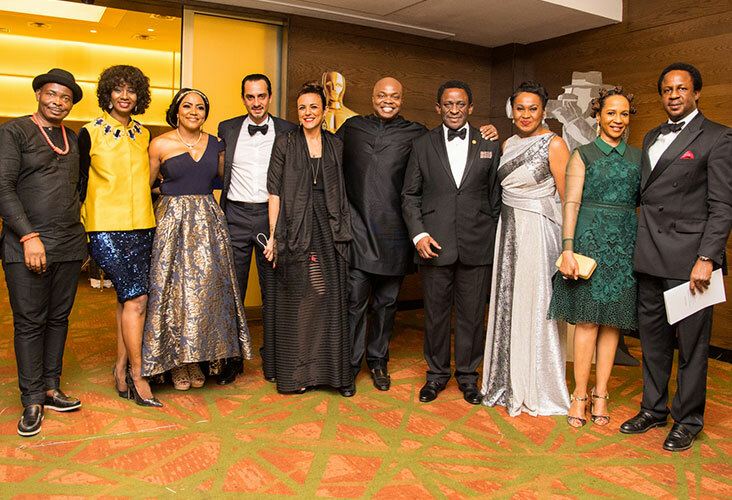 The HBSA of Nigeria’s Annual BlackTie Gala featured all the glamour of a Hollywood awards night, including a “Walk of Fame” with 30 giant stars bearing the names of HBS alumni who have contributed to the growth of the Nigerian business space, members of the Trustee and Executive Board, and this year’s award winners, among others. 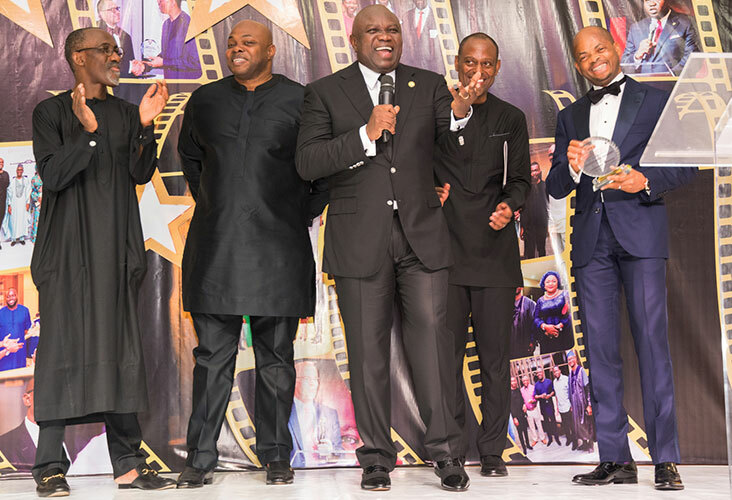 His Excellency, Professor Yemi Osinbajo SAN, GCON, Vice President of the Federal Republic of Nigeria, served as Chairman of the gala, and His Excellency Akinwunmi Ambode, Executive Governor of Lagos State, presided as chief host for the evening. According to HBSAN’s program manager Chika Nnadozie, the club presented three leadership awards. The HBSAN Leadership Award for General Management was awarded to Akinwande Ademosu, (GMP 14, 2013), Managing Director and CEO of Credit Direct Limited. Ademosu led the team that launched Credit Direct Limited, the first and largest non-bank structured consumer lending business in Nigeria. Since its inception in 2007, Credit Direct Limited has disbursed over NGN150 billion to over 1.5 million Nigerians. 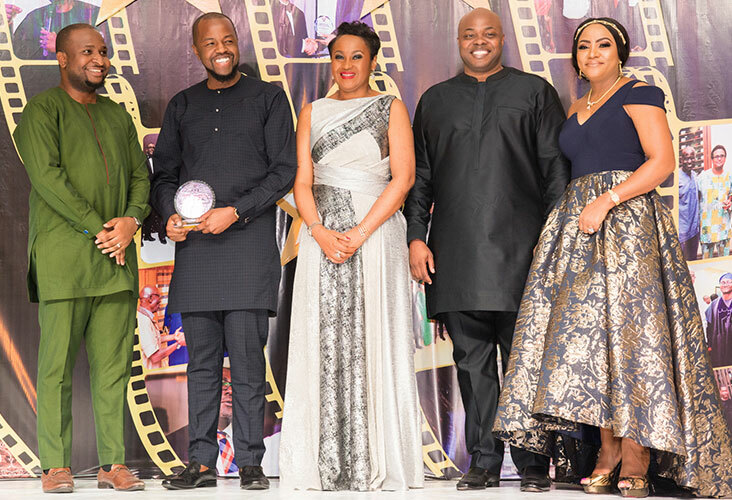 Moses Babatope, and Kene Okwuosa, co-founders of Filmhouse and FilmOne, received the HBSAN Leadership Award for Entrepreneurship. Filmhouse is the largest cinema chain in West Africa. 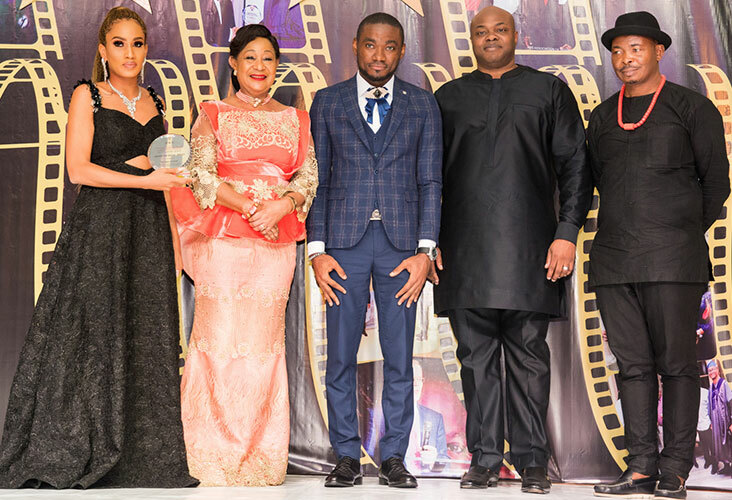 FilmOne is the fastest-growing studio-styled organization responsible for Nigeria’s highest-grossing box office films, The Wedding Party and The Wedding Party 2. Clara Chow, Founder and Chair of Board, Generation Enterprise (GEN), was honored with the HBSAN Leadership Award for Social Impact. GEN’s mission is to tackle the skills gap that traps young people in poverty and caps the growth of Africa’s businesses. Along with CTO Joshua Ihejiamaizu and board member Temi Awogboro, Chow ensures GEN’s programs effectively break young Nigerians out of dead-end, low-skilled work, through its international operations and presence in Lagos. In between the dinner and the awards, the guests were entertained by Basketmouth, one of Nigeria's top comedians, as well as dance performances by the Society for Performing Arts in Nigeria (SPAN).